I’m been very busy working through edits over the last few weeks so my reading has been a bit slow. What are you currently reading, What have you just read, What will you read next and link your blog post to ‘Taking on a world of words‘ You can also see who else is taking part. I needed something short to read and my daughter suggested this. I haven’t read any Morpurgo before, but I’m enjoying it so far. It’s based on the Joan of Arc story. I am also reading an ARC for Jesper Schmidt – How to write fantasy book descriptions, but I don’t have the cover to display just yet. 25% in and so far, so good. I think this could really help fantasy writers. Last time I took part in WWW Wednesday I had hoped to finish a couple of trilogies, but I’d forgotten about my monthly book group reads. With my lack of time I’m having to reconsider what books I can fit in. In the next month I need to read Senlin Ascends, which I’m really excited about as it was my choice for book group. 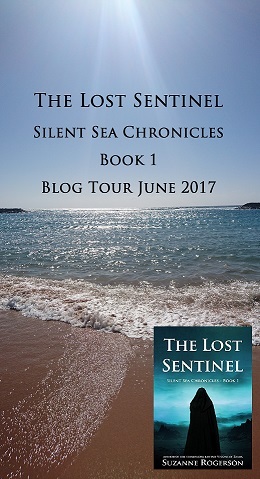 In the next few days I will also be reading my own book The Sentinel’s Reign (book 2 of Silent Sea Chronicles) prior to its publication at the end of June. Cover reveal and pre-order links coming very soon! I think that is plenty of books to be getting on with. What are you reading? With Spring here at last, I thought it would be the perfect time for another writing and reading update. March has been an interesting month for weather in my part of the UK. I’ve tried not to let it interfere with my writing schedule and luckily the kids only had one snow day off school. I’ve been busy polishing The Sentinel’s Reign book 2 in the Silent Sea Chronicles after beta reader feedback, and have booked an April slot with my editor for a proof read / edit. The book is currently with my second wave of beta readers who hopefully won’t find too much wrong (fingers crossed). At the beginning of March I attended a Getting Published Workshop, which was informative but didn’t quite go the way I’d hoped. I will share my thoughts about the day and what I gained from it later in the week. As I revealed a couple of weeks ago, I’m still in talks with a publisher regarding the Czech translation of Visions of Zarua. I’ll be sure to spread the word and break out the champagne when the contracts are signed. I’ve decided to re-read Visions of Zarua. This seems like a mad thing to do because the publishers were obviously happy with the story and I’m bound to want to change minor details that don’t really impact on the reading experience. It’s just the editor in me screaming to be heard. The question is do I give in to the nagging voice, or try to read the book for pleasure as I would any other book. Is that even possible? I have been contacting book reviewers in the hopes of building some interest in The Lost Sentinel, which has suffered with lack of marketing whilst I worked on book 2. I really want to start showing the book some love and attention. If you would like to read and review The Lost Sentinel, please contact me. As always, here’s the universal book link to see what you think on Amazon, or check the dedicated page above. I’m looking forward to continuing work on The Sentinel’s Alliance (Bk 3), which I started during Nanowrimo last year. Skim reading through the draft has filled me with excitement and I can’t wait to lose myself in the story and see what happens next! I will be submitting Visions of Zarua to agents on my short list, using the knowledge I learnt from the Getting Published day (again I’ll share my views with you in a day or so). I would love to get some more reviews for Visions as well, any takers? Time Travelling with a Hamster – review to follow. It was a fun read, and even though a children’s book, the time travel concept held up perfectly. This was originally recommended to me by my daughter, who devoured the story in a few days. As mentioned I’m re-reading Visions of Zarua. This is the last book in the trilogy and is filled with action that’s keeping me up far too late at night. The Sand Scuttler by Rosalyn Kelly (Early ARC so no cover to share as yet) and Ninja School Mum by Lizzie Chantree. And I have another two trilogies I am desperate to finish The Crown of Stones – Magic-borne by C.L.Schneider and Queen of Fire by Anthony Ryan. That should keep me going for a while. Have you any writing or reading goals for the spring?